His interest in jazz began in his early teens, listening to musicians as diverse as Louis Armstrong and Miles Davis, Sidney Bechet and Charlie Parker on record. 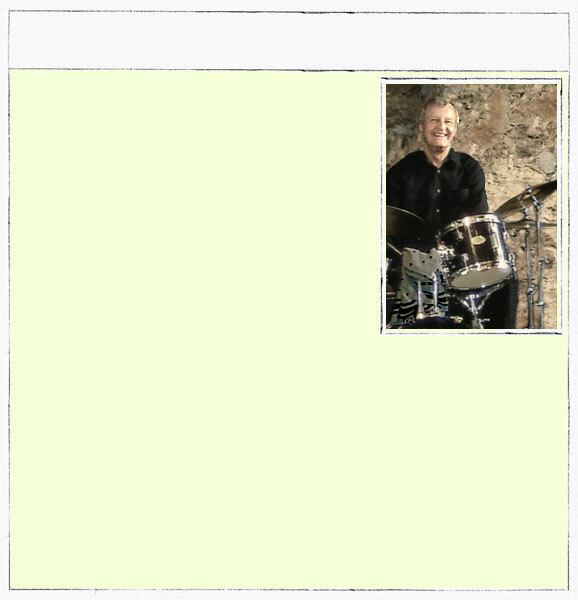 By the age of 16, he had taught himself drums and began working in semi-professional Dixieland bands in Glasgow, but still listening to much more modern sounds. Lived in Brazil 1970-71, where he played in a night club in Sao Paulo and began a life-long love affair with all kinds of Brazilian music. Shorty Rogers, Teddy Wilson, Kai Winding, Tony Coe, Tal Farlow, Martin Taylor, Carol Kidd, Jimmy Witherspoon etc. Following closure of the Black Bull Jazz Club, he ran the first Glasgow International Jazz Festival in 1987, featuring Sarah Vaughan, Dizzy Gillespie, Benny Carter, MJQ, Chick Corea, Gary Burton, Stan Tracey, Peter King and numerous others, but decided all the fun in the music business is in playing. Subsequently toured extensively in Europe and North America with Edinburgh-based Fat Sam’s Band, for which he wrote and arranged a substantial part of the repertoire. His wide-ranging musical interests and arranging skills were further developed in his quintet, Picante, which featured an eclectic mix of bebop, hard-bop and punchy Brazilian music arranged in bop style.